I'm not sure about other parts of the world, but here in Texas summer is in full swing. The wildflowers are blooming, the bees are buzzing, the sound of birds chirping comes from the trees, and the smell of ripe peaches and plums drift through the air. It is so hot here, the moment one opens their front door or car door the heat and humidity come crashing down on them like a wave. Like the heat in Texas, life has come crashing down on us over at Rebellious Writing, but we're still here, still fighting for light in literature. Like the wildflowers in Texas, we are tough and stubborn when it comes to budging from our movement, and I'd like to thank of of y'all for standing with us this month. So without farther ado, let's get into the news! Reader's Thoughts feat. Kara Lynn. Read the thoughts of a few of our reads on today's young adult and Rebellious Writing. Review of Michigan Sweet Romances by the RW Team. Catherine Hawthorn, Keturah Lamb, Clare A., and I read and reviewed Parker J. Cole's lovely books. 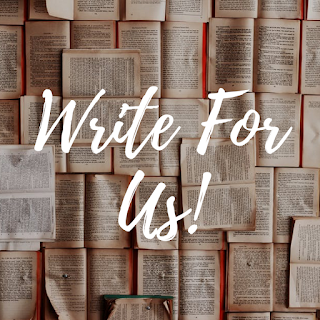 We've been rather quiet this month, but if you'd like to help us fix that for next month be sure to submit your guest posts or book reviews here! Sarah Rodecker's post, 5 Ways I Saved "The Dawn of a Hero" from the Trash Heap, offers helpful tips that Sarah learned from experience while revising a WIP. It's a super good post, and I found it really helpful. Ivie Brooks did a cover reveal for her novel Uprising, I'm still so hyped over it because her book sounds amazing and the cover is stunning, read her post here. Faith, or as some of us know her, The Florid Sword, talked about her top 10 favorite couples in fiction with her post SHIPPING IT: Aka my top 10 favorite couples in Films and Books. Melissa Gravitis wrote a wonderful blog post called What if Your Story isn't Original Enough? It's such an encouraging post, especially if you're struggling with liking your story. Danielle wrote about what she likes and dislikes about YA in her post YA Audience Perspective: What I Like (and What I Don't). Thank you all so much for your support! We all really appreciate it. Rebellious Writing is one of the strongest teams I've seen, we are all determined to continue our movement for good books, and like the pesky wildflowers and weeds, we won't wilt anytime soon. Thank you! It was a bit rainy earlier this month for us. Thanks so much for the shout out! And isn't Ivie's cover like #goals? So amazing!! And her cover really is, I don't know why but I always get a techno vibe from it, and I love it! Sounds like a great month! Thanks for the shoutout! I'm so thankful for the RW community (I'm sorry I'm not more active) but it's really ben on the front burner for me because I've been spending a lot of time at the library and am wholly disgusted by most everything in the YA section. Keep up the awesome work! I agree that the young adult section is appalling, I hope somehow we inspire people to make the standards higher.